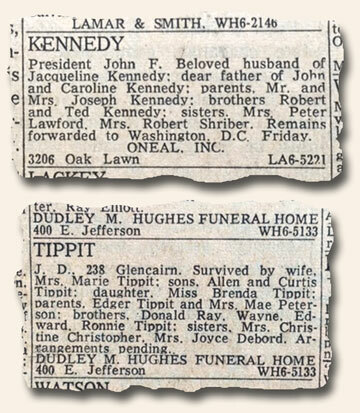 Fifty years ago this week my older sister and I came in from carving Matchbox-car-sized roads through the previously well-manicured turf of our backyard to find our mother staring at the semi-snowy, partially visible screen of our black and white television with tears streaming down her face. Not being prone to such outward displays of emotion, her anguish screamed to us that something tragic had happened. This moment was emblazoned in our minds for life… and was reinforced days later when she took us by the hand to lead us on the long trek to the railroad overpass a few miles from our home to peer over the edge to watch a train draped with a flag pass under our feet. President John F. Kennedy was dead! While at the time my sister and I had no idea whether or not he was a good president (for to a child, all presidents are good), one thing we knew for sure, something vanished from people’s eyes which has yet to return – American innocence. As we reflect on this snap-shot of innocence lost, we wonder where it all began – that is, the overwhelming common-man devotion which inspired many to “Ask not what your country can do for you…”. When did the admiration of the crowd begin? Was it when he was proclaimed a WWII hero as the Captain of PT-109, or did it spring-forth from his impact as a Massachusetts Representative with his first political election victory? While it may be hard to sort out how he had become so beloved, one thing is certain: a split-second in time along a Dallas street changed everything. Feel free to share your “memory” of November 22, 1963. 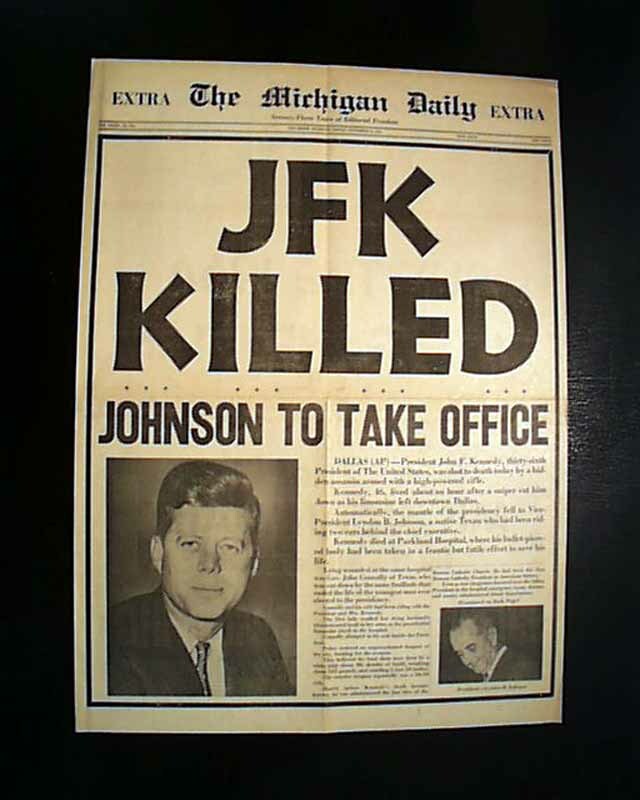 To commemorate this historic moment (November 22, 1963), we’ve assembled a host of “assassination-report” newspapers from all over the country. They are viewable at: JFK Assassination. 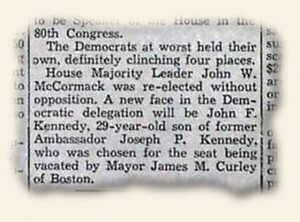 The “New York Journal American” newspaper of Nov. 22, 1963 did this “Extra” edition reporting Kennedy’s assassination. 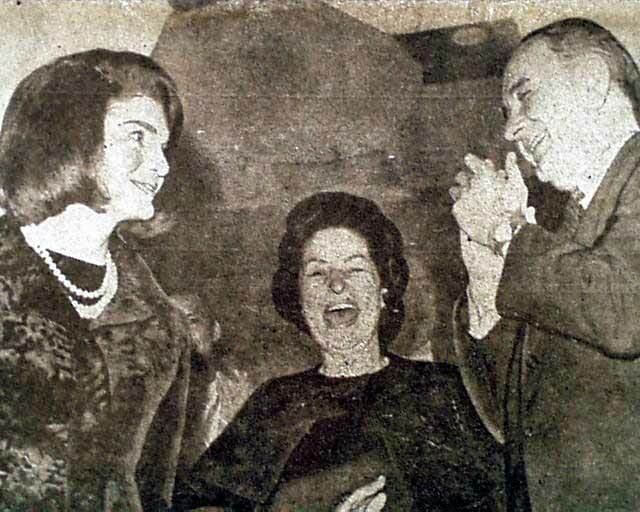 Making this issue a bit of a curiosity is the photo which accompanies the headline, as it shows a smiling Lyndon B. Johnson, a laughing Mrs. Johnson, and a smiling Jackie Kennedy. 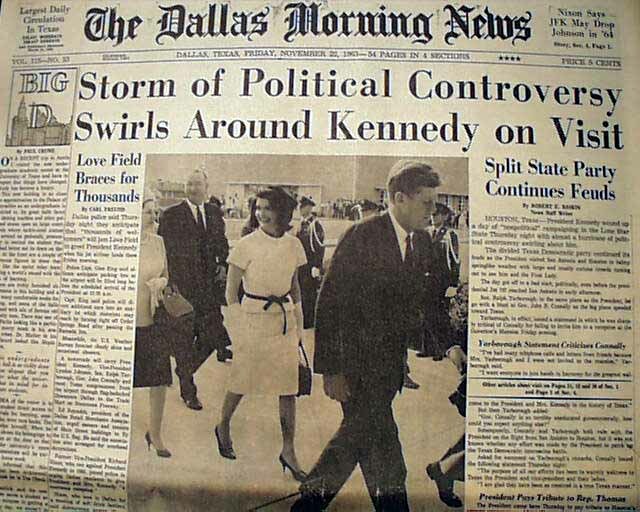 The photo was almost assuredly planned to accompany another story about their visit to Dallas but that edition was interrupted to quickly produce this “Extra” with the breaking news of the assassination. The photo was not replaced in the haste of getting the edition on the streets, producing this rather bizarre photo/headline combination which gives the appearance of a joyful reaction to the news that JFK had been assassinated.